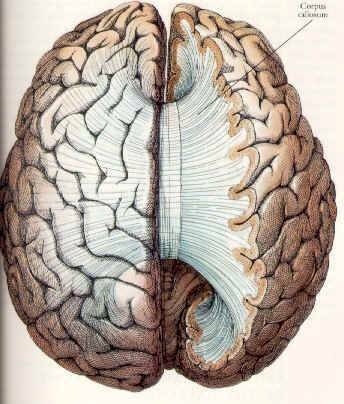 the left side via the 'bridge' known as the corpus callosum. Without empathy, anything goes, and the Reptilian manipulation has specifically set out to disconnect us from right-brain reality to (a) stop us accessing far higher levels of awareness and intelligence, and (b) to suppress our sense of empathy. We want the resources to make lots of money and those primitive blue people are living on top of them and won't move. No problem, scramble the aircraft and let 'em 'ave it. The left-brain, to use a quote from the British writer, Oscar Wilde, knows the price of everything and the value of nothing. But we don't need violence to set us free. We need to open the right-side of the brain and reconnect with our true and infinite potential. Everything else comes from that. The manipulators have not worked so hard to close down that connection because it is a bit of fun [for them maybe ~ CR]. They have done so because it is absolutely crucial - prime - to their ability to control. They are terrified that we will wake up and access that fantastic potential. Put another way, left-brain or right? Or, even better, a balance of both! He then proceeded to produce an amazingly accurate drawing of the city, as it looks from the air, and included more than 200 buildings - some of which had hundreds of windows accurately portrayed even though he didn't have the ability to count because of his autism. Oh, but he is very human - the human the Reptilians and their bloodlines are desperately trying to suppress, because they know that their game is up once we access even a fraction of who we really are. That moment is getting closer ever day. Note: David Icke commonly refers to "reptilians" and "reptilian bloodlines" in reference to those whose lower "R-complex" (reptilian brain) dominates with a habit of dominating others without conscience that distinguishes the higher right-brain functions of 'Enlightened Sensory Perception' (5D). an ever-growing audience, please forward 'hemispheres' freely. Contribute 'To Your Health' at UltraMedics Services.